There is one thing I love about pastel punk trend and it’s the clash of two different styles, an edgy trend is softened by florals and pastel hues. Today I am happy to show you a stunning collection of moderated grunge, punk and goth-inspired looks that are completed with lovely color clothes and prints. Frankly speaking, it’s the same look as we used to see in the seventies, eighties, and nineties, but finished with cute prints and colors. Pink-violet hair, unicorn printed sweatshirt, flared pleated pastel violet skirt and platform shoes, that’s what I call pastel punk! Okay, you are into black color now, but how to start wearing it, if you want: a) look trendy and b) feel comfortable. Start from the black jeans. This denim piece can easily transform your look. The best thing about black jeans is their dressy appearance. I am telling you, no matter what you are about to team them with, you still gonna look dressy and posh. Now, if blue jeans are more about casual day walks on the town, then black denim bottoms are about work, play, and fun! In other words – functionality and versatility! 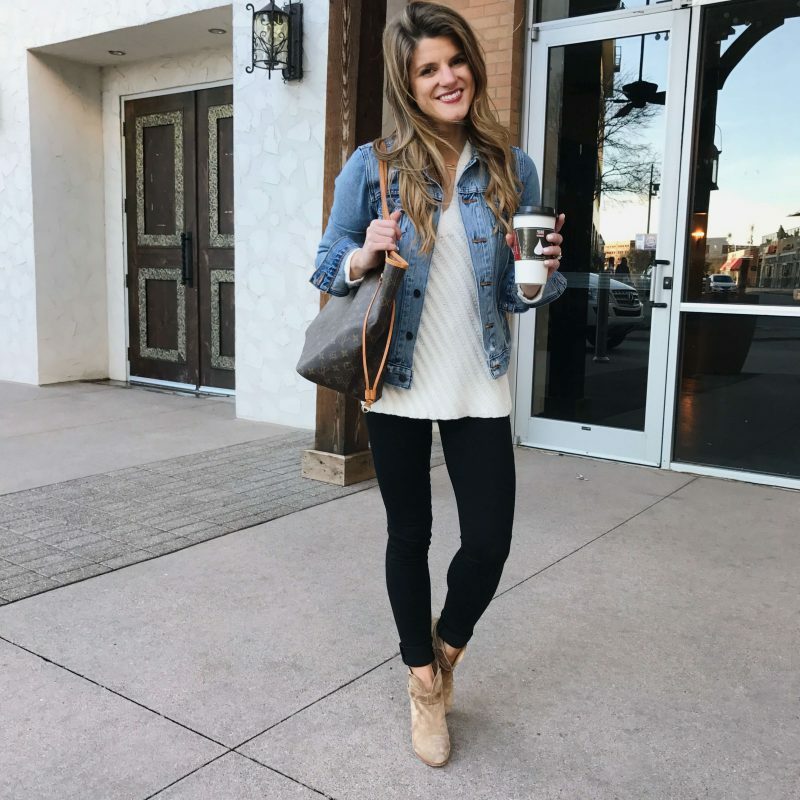 In this article, I am going to give you 18 awesome ways how to wear black jeans without looking dull. We see a nice double denim look that consists of a blue wash denim jacket worn over white tunic top paired with black cuffed skinny jeans completed with camel suede ankle boots. If there is an essential footwear in women’s wardrobe, then it’s a pair of black heels. I am talking about different types of heels, it can be a pair of heeled sandals, heeled pumps, block heels, srappy heels, and whatever is on your mind. In today’s post I will try my best and show you the most fashionable and stylish outfit ideas you can recreate with a pair of black heels. Trust me, no matter what type of girl you are, you can easily add this footwear to various clothing styles, from ultra feminine and super boyish. Heels can easily turn any outfit to something ultra chic and trendy! So, what are you waiting for, get some inspiration right now! Black and white are always in! Love this white semi-sheer coat teamed with black jogger pants and classy black heeled pumps. Bike shorts trend is here to stay for a long time! Today I want to talk about ways how to wear bike shorts and dress them up without looking like a jerk. So, how should we rock these tight-fitting shorts on the streets this year, find out now? Kim Kardashian loves bike shorts trend. We see her in a matching set that features a half-zip short sweatshirt teamed with high-waisted tight bike shorts both in grey color. The look is completed with cool sunglasses and heels sandals. This time we are here to talk about the best women’s sunglasses you can buy this year. This is not just a fun fashion statement accessory, but a protection from the sun rays and unwanted people’s eye contact. Thanks to a wide variety of sunglasses designs and availability you can just get any pair you want without breaking a bank! If you are interested to see some inspirational shots taken from different cities around the world. Black oversized sunglasses with a retro touch might be your favorite design. They ideally suit both casual and dressy clothes. Here we see black sunnies worn with a charcoal cozy sweater. If you are into hats, then a beret hat is what you need, darling! Yes, I am talking about the French chic inspired stuff that is like a welcome card for all women who want to feel as true Parisians. In today’s blog post I will show you cool street style images of girls and ladies who wear berets the right way. Sure, wearing a beret is not an easy task, but when you know how to style it, then this accessory can make a bold and beautiful statement. 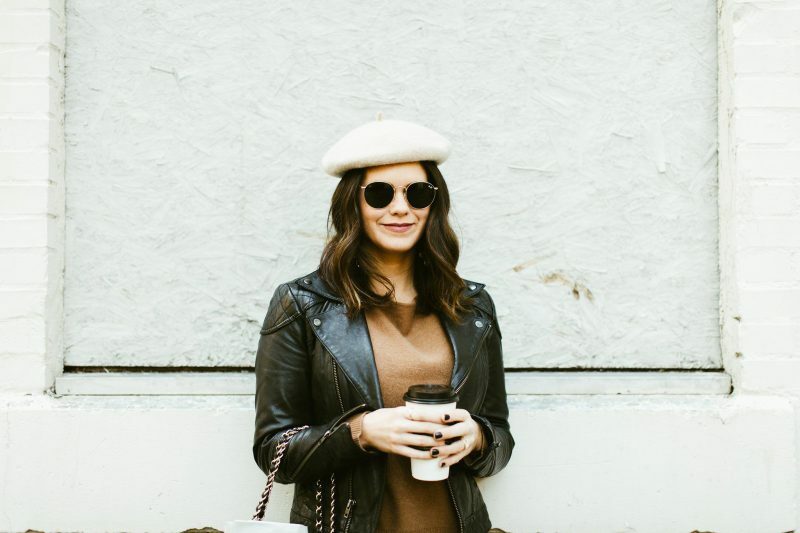 A lovely white beret hat that looks so French chic with a black leather jacket and light-brown sweater. The rounded sunglasses perfectly complement this outfit. A balaclava has this year’s headgear fashion moment and you better give it a try! What is so special about this accessory? First of all, it is a perfect safety piece for keeping warmth of your fave and head, another great plus is that you can literally become invisible, as noone will see your face. It comes in different designs, allowing you to show only your eyes, mouth and nose or the whole front area of the face, plus you can wear it as a neck-scarf, by folding down on your neck. Anyway, read on to find out more about this hat-mask and see the best ways how to wear it on the streets. This black balaclava ideally matches the whole look that consists of a black turtleneck and loose-fit trousers. If you are looking for a bag that can be useful for different occasions, starting from a beach-side picnic, street walks, exploring new cities or simply walking around your town and visiting shop centers, then you definitely need a stylish backpack purse. This spacious bag allows you to free your hands and do whatever you want. I gathered a very inspirational street style collection which includes refined and classic backpacks, as well as sporty ones, and designs made of high-quality fabrics. Are you ready to see something inspiring and cool? Go on! 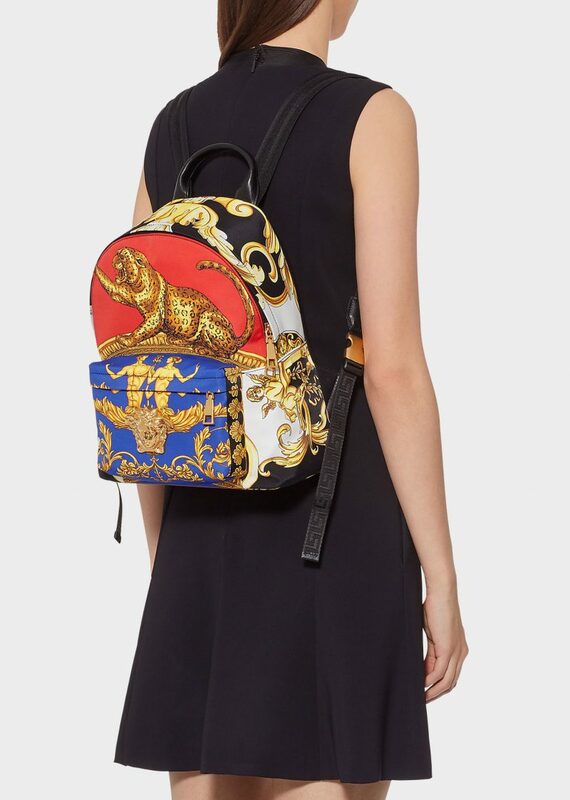 Stand out from the crowd by choosing this incredibly cool vibrantly printed backpack. It can be worn with all your favorite neutral color essentials, from LBD to gray sweaters and black jeans.